Participating in quad biking activities gives you an opportunity to discover the islands of Mauritius in unique ways. You will travel through amazing forests located near magnificent rivers, breathtaking mountains, and beautiful hills. If a real African Safari is something you have desired for a long time, then there is no better way to fulfill this desire than by being part of a Mauritius quad biking adventure. Remember, bike quads are all-terrain vehicles that help you access difficult terrain where horse riding or trekking on foot is impossible. It also gives you a chance to view Mauritius’ backcountry. You can opt for biking quad hire choosing a quad bike that meets your standards. Then you can participate in this amazing adventure across Mauritius. Here are the most common quad biking tours in the country. 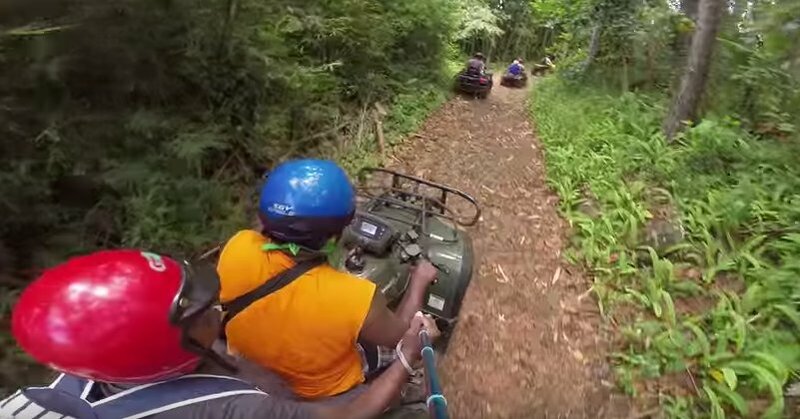 This quad biking tour takes approximately 2 hours and is located on the East Cost of Mauritius. During this tour, you will enjoy a panoramic view of mountains, hills, and rivers. You will also get an opportunity to go through the country’s natural forests. The tour is also a great opportunity for you to see boars and deer. Seeing them is an added advantage for lovers of nature. This quad biking trip starts at the Bel Ombre Estate, which is within the Federica Nature Reserve. The tour snakes through the mountains located in the nature reserve. During the 2 hours tour, you will have an opportunity to see giant bats, deer, and sometimes wild boars. The ride takes you through vast fields of sugarcane and halfway through the trip, you will come across waterfalls that create a cool pool where you can swim to cool off the heat after the awesome buggy ride. If you are interested in experiencing an adrenaline rush, the South Coast Andrea Biking Trip is your best opportunity to do so. The two-hour trip starts at Andrea Lodges located on the South Coast of Mauritius and then it heads to the backcountry of Mauritius, which is rich in rugged cliffs. It does not stop here. Rather, it moves through forests and sugarcane fields. After the forest, the ride takes you to Rochester Falls before you reach Leon. Only a few people get to visit these two places hence giving you a chance to see what many have not seen. Taking the ride during the cold season increases your chances of seeing whales that swim off the island. Quad biking may not be your first option for extreme sports but that should not limit you from turning it into one. Involving yourself in an extreme quad ride in such a beautiful country is priceless. 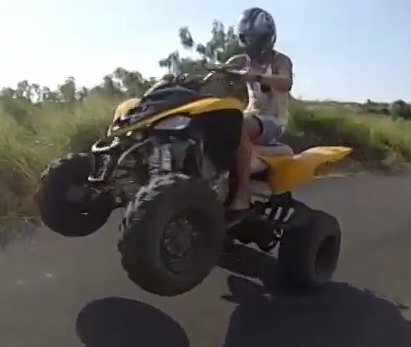 Remember, Mauritius has some of the best off-road trails that will make you enjoy every moment of the best quad biking. Furthermore, if you have tried all the above Mauritius quad adventures and still feel you want something more challenging, you can try the full day quad ride that covers 35 to 50 km. It mostly occurs in the southern part of Mauritius. During this buggy ride, you will have an opportunity to explore the southern part of the country in detail as you will pass through cliffs, La Roche qui Pleure, Gris Gris, and Rochester falls before enjoying your lunch at Bois Cheri Estate, which has some of the most panoramic views in the world.